Update: No longer available and monthly t-shirts discontinued. I'm super excited to announce monthly catonmat geek t-shirts in collaboration with Teespring! Every month on the first Monday I'll be launching a Teespring shirt campaign with an awesome geek tee. Teespring is basically Kickstarter for t-shirts. If enough people commit to buying a shirt, everyone gets their shirt. Otherwise nobody gets a shirt (and nobody gets charged). 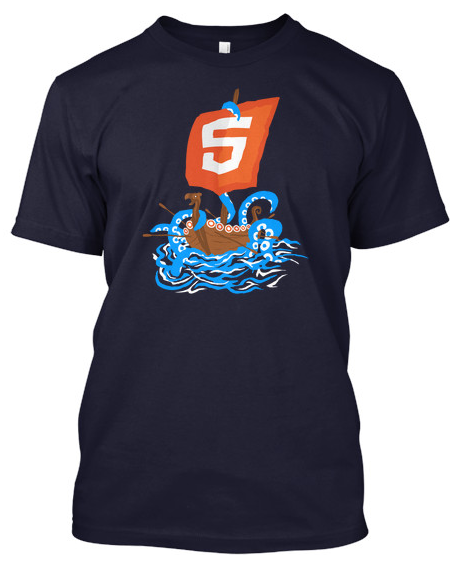 This month I'm presenting the limited-edition HTML5 tees. This shirt is also the official tee of the HTML5 Dev Conf that's taking place in SF on October 15 & 16. This shirt is designed by my co-founder SubStack and it's available on American Apparel and Hanes tees. Love this shirt and want to get more geek shirts in the future? Subscribe to my blog and follow me on twitter for updates!